Roll for spookiness, for this week Wes returns to discuss cosmic horror in roleplaying games. 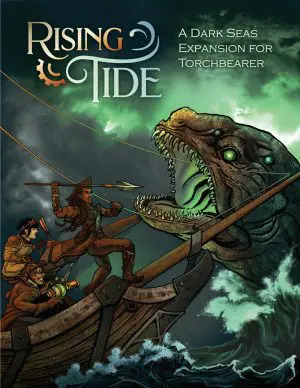 There is of course much ribbing on the old standby Call of Cthulhu, but Wes is also kind enough to introduce a number of other games for your eldritch delight. We discuss how difficult it can be to craft plausible scenarios for long-term horror campaigns, how much of a character’s sanity should be represented mechanically, and if the feeling of cosmic horror is even compatible with RPGs. Wes discusses how much dice rolling can subtract from the horror, Chris proposes a terrifying way to keep the party engaged with the unnatural, and Oren tries to make you buy his book. Are you familiar with “John Dies at the End” by David Wong? 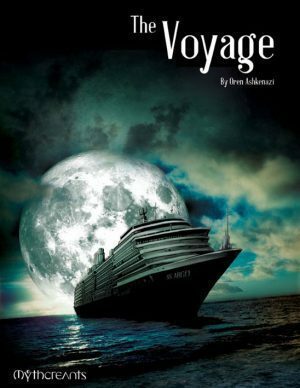 It’s a horror-comedy novel that plays with conventions of the genre. An important one is that the protagonists, while very much afraid, react to horrors around them with inane humor. It just happens to be a behavior common during tense RPG sessions. The novel as a whole strikes a peculiar balance between the assumptions of “Cosmic Horror” and maintaining the characters’ agency – something that horror RPGs could do well to learn from. I believe it deserves checking out. It even has a sequel and an inferior, but still enjoyable film adaptation. Surprised you guys didn’t mention Darkest Dungeon, it’s a PC RPG that manages to handle the cosmic horror aspect very well, it does something that you actually mentioned here. It’s the idea that one of the characters involved with cosmic horror is super rich which motivates the others to get involved, it’s done a little differently here though, you are a descendant of a rich man who dug a cosmic horror infested dungeon underneath his castle/estate out of curosity and boredom, he commits suicide eventually after everyone who went into the dungeon with him got eaten by cosmic horrors and he managed to escape back to the surface alone, but before he killed himself he sent you a letter urging you to deal with this mess and save the family’s name. When you arrive you start hiring adventurers whom you send down into the depths of the dungeon and its surrounding areas to explore it, collect treasures and kill certain monster bosses, there everything is trying to kill you (or rather them), there are traps, regular monsters and big bad monstrosities that defy reason, the characters build up stress as they venture deeper into the dungeon and face more horrors there, when they reach the first breaking point and bulk under stress from many different factors (specially the light dimming over time) they reveal a defining trait that is either negative or positive (like being selfish or being stoic under pressure) .. Positive traits help greatly but have very small chance of occuring, negative ones vary from mildly annoying to out right destructive, things could easily snowball into major disaster, one character going paranoid, irrational or abusive could easily push the others to the edge, there is even a 2nd breaking point after this, character already under the effect of negative traits can still get more stressed out to the point of dying from a heart attack, it can be brutal sometimes how things spiral out of control (which makes a character revealing a positive trait under stress and holding the team together feel very heroic). Sure because it’s a PC RPG not all these ideas might not work in a tabletop RPG but the core ideas are solid for a table-top RPG (even the mini-map of the dungeon in-game looks like a table-top dungeon map), specially for one shot sessions since it’s quite common the entire party of adventurers might get wiped out with everything working aganist them, one player could play the rich estate owner or it could be a GM. Either way it’s an excellent game and you should check it out.